Multiwallet will launch a Europe-targeted crypto custodial service in Malta, which claims to be compliant with initial local requirements. 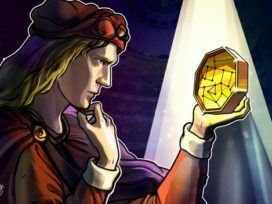 Blockchain firm Multiwallet will launch a Europe-targeted crypto custodial service regulated by Maltese regulators, the company revealed to Cointelegraph at the Malta Blockchain Summit on Nov. 2. Claiming to be fully compliant with Malta’s existing initial requirements for a crypto custodial service, Multiwallet is now seeking a custodial license from the Maltese government. As told to Cointelegraph, the upcoming custodial service will be regulated by the Malta Financial Services Authority and the Malta Digital Innovation Authority to operate legally as a tool of managing cryptocurrency transactions across Europe. While Multiwallet claims to be fully compliant with the existing draft rules for operating a crypto custody, Malta’s government is still developing and finalizing the relevant legislation, which will reportedly take another 12 months. Meanwhile, Multiwallet will cooperate with Maltese authorities to stay informed about a due regulatory framework for running a licensed crypto custody service. The Multiwallet platform is reportedly based on technology by global multicurrency custodial wallet Freewallet, which offers exchange services for 25 cryptocurrencies including major coins Bitcoin (BTC), Ethereum (ETH), Litecoin (LTC), and others. While the Freewallet platform supports both web and mobile devices such as iOS and Android, Multiwallet is currently available only on the web, with its mobile app to be reportedly released in 2019. As a crypto and blockchain-friendly country, Malta has become a global hub for the development and adoption of blockchain technology. In early July, the Maltese Parliament passed three bills concerning transparent regulation for both the crypto and blockchain fields, as well as attracted a number of major crypto trading platforms such as the world’s largest crypto exchange Binance, OKex, and BitPay to open offices in the country. Most recently, Malta’s government announced the launch of a national taskforce in order to develop an artificial intelligence (AI) strategy, intending to provide a friendly regulatory environment similar to the one adopted for blockchain technology.